I have a request for you. I need your help January 23. This day is the most precious and most difficult day of the year for me. So I would love it so much if you spent it with me. I am creating a Wave of Love in memory of my little girl and for all the babies gone too soon. When we lose someone, we are suddenly cut off from all the ways we expressed our love for them and from all the ways we planned to love them for the rest of our lives. I believe this is one of the reasons the pain becomes so bitter sweet. Our agony is the only tangible outlet available to us. And so we fold ourselves into the pain, we merge with it, we breathe it in even when it chokes us. We have no choice. Because it is all we have left of our beloved. This love overwhelms us, as the love of a child always does. 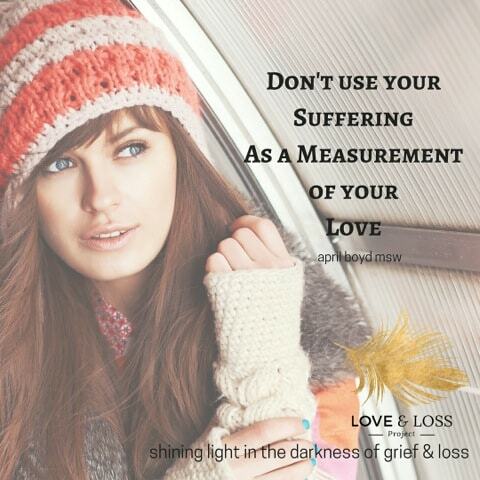 But for a bereaved mother, with no child here to hold and to shower this love upon, we must try to contain and control this surging intensity of emotion that has no place to go. The only release available to us is our tears, and we know no one wants to see that for too long. The magnitude of this love floods our system, overwhelms us and threatens to pull us under. It becomes stuck, pent up and more painful. Because of course the love always remains. And so we need to find somewhere for that love to go. Let’s use the love to pull ourselves out. Take the love of your lost one, grab it with both hands, and do something with it. Get it out. 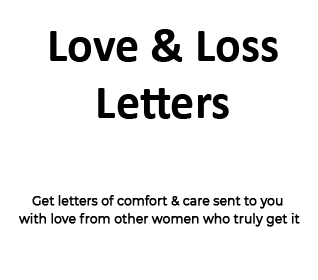 Let it be seen. I believe that we need to honour of lost little one with our tears as well as with new joy. Our survival depends on it. So consider this is your official invitation. 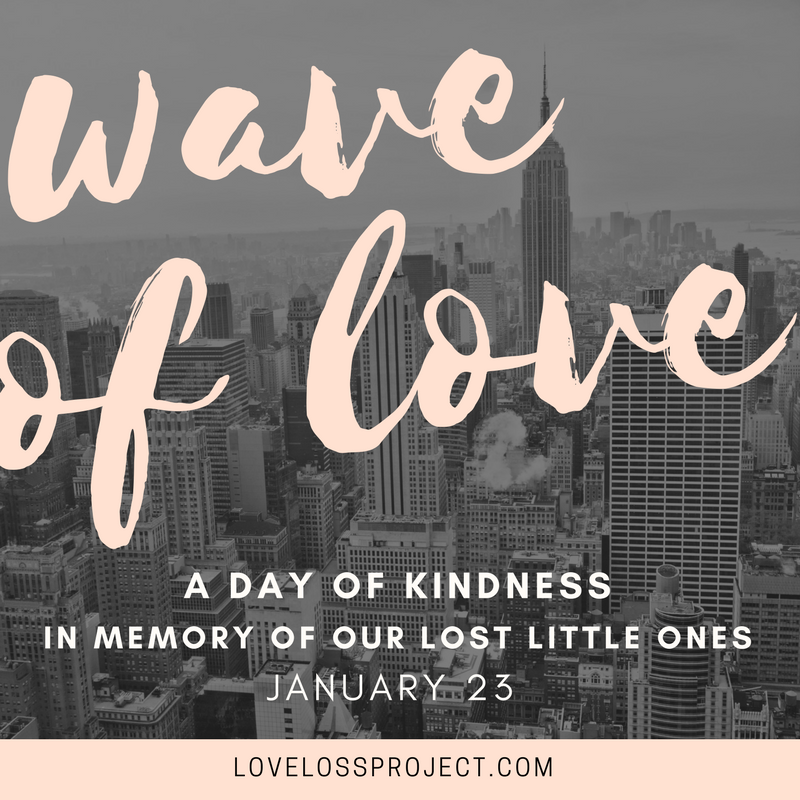 Join me on my mission to share as much love & light as possible in honour of our lost little ones with a Wave of Love. This month I would have been planning my daughter’s birthday party. Instead, I will be celebrating her brief and beautiful life a Random Act of Kindness Blitz and I want you to join me. Download your Random Act of Kindness Cards Tool Kit here. Option: Want to take this to the next level? 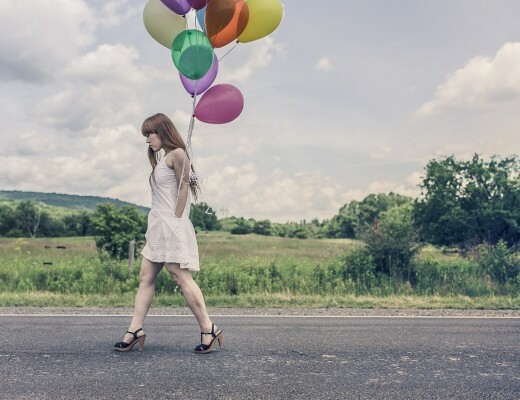 Plan your own Random Act of Kindness Event here this Planning Tool Kit. 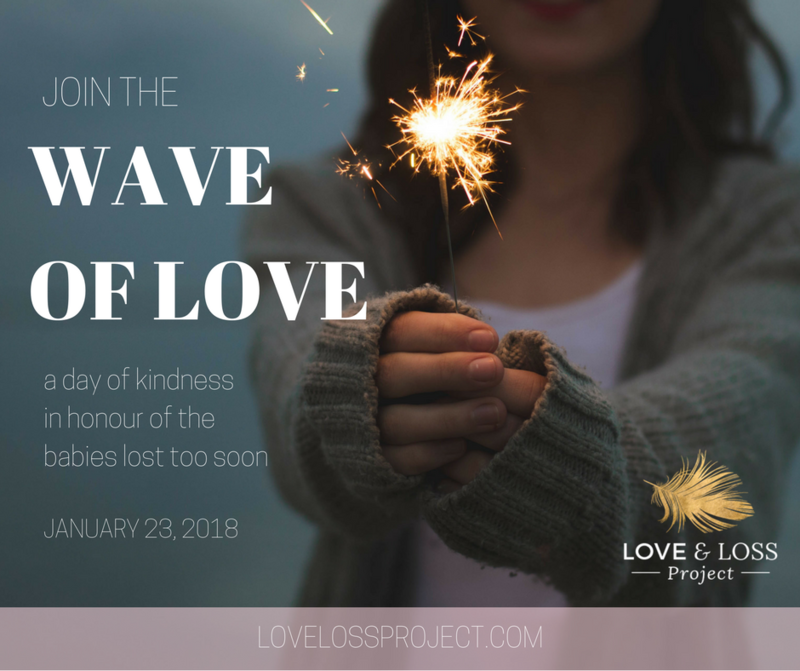 Include your friends and family and honour your lost little one by hosting an amazing day and share it with us here Wave of Love Fb Event Page. The love needs a place to go. So let it be seen and show it to me too! I really hope you join me. For you. For me. For our lost beloveds. Call someone you haven’t talked to in a while. Leave something in your mailbox for your mail delivery person. 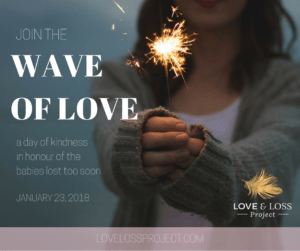 Make a donation to your favourite cause or mine: Nora’s Honorarium, a maternity home support fund that helps prevent other families from experiencing the heart break of losing a baby, operated by the Because I Am a Girl foundation. Give a larger than usual tip to your restaurant server. Let someone else go first. Go through your closet and donate the things you haven’t worn in a long time. Volunteer to take a dog for a walk at the local animal shelter. Buy a coffee for the person behind you at the DriveThru. Stop a negative conversation to reduce the amount of gossip and toxicity in the world. Empty your closet of the things you no longer need and donate them. Make baked goods for someone. Add change to other people’s parking meters. Make eye contact and say hello to a homeless person. Hide a love note for your partner. Carry a $5 Gift Card and give it to the next person you see doing something kind or awesome. Accept someone’s offer to help you or offer support. Share this post on FB and invite others who might benefit or who might want to support you.